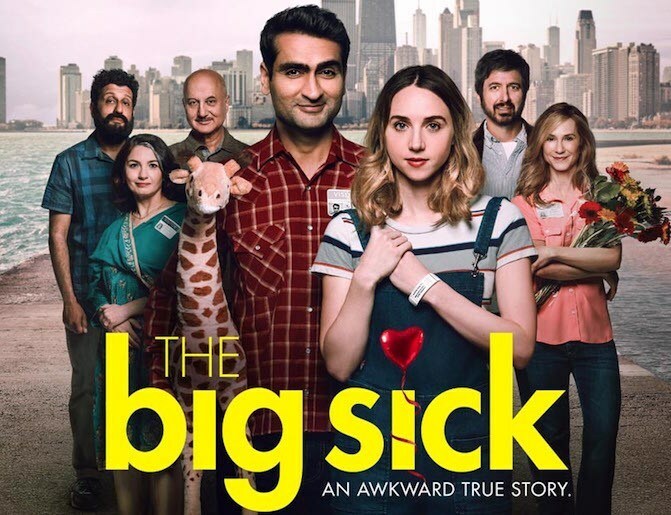 The Big Sick is an Amazon exclusive movie, written by Kumail Nanjiani and his wife Emily Gordon, on the true story of their lives, starring Kumail and Zoe Kazan as Emily. The movie is directed by Judd Apatow. Kumail is a Pakistani trying to make it in America. From a foreign land with customs like arranged marriages, and he is just trying to make it here as an Uber driver and comedian. But mostly he wants to be a comedian. When he gets heckled by Emily, just a girl in the crowd, they start up a relationship…one that could never happen, because she is white and he can’t disappoint his parents by dating outside their culture. But right after they break up Emily gets really sick, what will Kumail do to help her, and will he finally stand up for what he really wants? You ever want to be in a relationship, so you can just finally relax? The movie takes a few minutes too long to get into the good parts, and because of that I started this months ago, and never really had an urge to continue. But once I hit that catch, I couldn’t wait to finish the movie and regretted pushing it off as long as I did. It is genre’d as a romantic comedy, and one of the funnier moments is when Ray Romano (playing Terry, Emily’s father) talks to Kumail about 9/11. Maybe I was overtired when watching it, but I was cracking up. Holly Hunter plays Emily’s mother. This movie gets a great 9.5 out of 10.